To restore your flood-damaged structure to preloss state, call SERVPRO of Northwest Brooklyn. Flooding incidents in Brooklyn damage structures in many ways depending on how they unfold. Incidents from severe weather events such as storms leave widespread damages because the wind may blow out roofs or other parts of the structure creating more ways for water to breach. Flooding from rising water only dumps significant amounts of contaminated water in the structure necessitating advanced cleanup and controlled demolition of some sections. Boarding up and installing tarps after flood damage in Brooklyn helps prevent unnecessary damages. To do this properly requires initial inspection of the entire property to identify all breaches. Our SERVPRO technicians rely on their skills in building services to do such inspections and board up affected areas. Besides, we also use plastic sheets to cover contents or parts in the interior of the structure where necessary. Flooding affects building materials such as insulation and drywall. Some types of insulation such as Cellulose and Rockwool mat when wet losing R-value and fire resistance. Cellulose insulation loses its antimicrobial properties while Rockwool rusts because of its metallic properties. 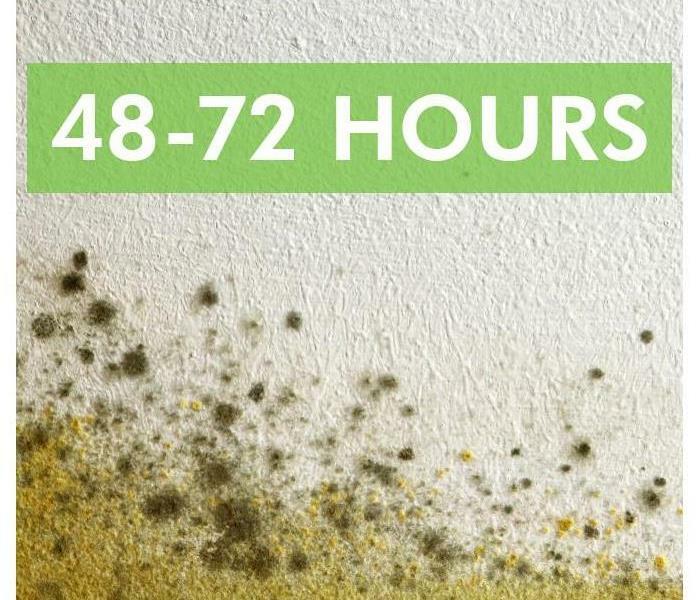 Our SERVPRO technicians make flood cuts to ease removal of the wet insulation and other structural materials because leaving them in place would compromise the energy efficiency of the structure or cause other problems such as microbial growth. 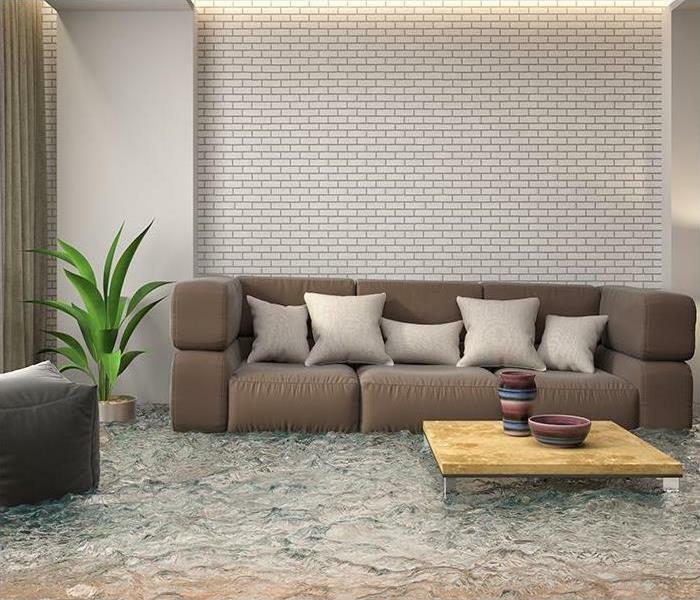 Porous materials in the structure such as carpets, wooden floors, and even frames absorb water during the flooding incident and can cause problems if left unchecked. Our SERVPRO technicians remove highly porous materials such as carpet and pad since it is not possible to clean all traces of contamination from the floodwaters. We clean up other materials such as frames and floors using professional cleaning agents and equipment such as pressure washers to get rid of all soiling. ASD, Applied Structural Drying, training helps ensure that we remove all excess moisture from affected materials to prevent problems such as rot and mold. To restore your flood-damaged structure to preloss state, call SERVPRO of Northwest Brooklyn. You can reach us at (718) 522-4400 any time. We’re Faster to Any Size Disaster. Click here for more about Brooklyn. In the event of a major storm, fire or flood in Park Slope, NY, commercial property owners may obtain a faster and more professional response from a local franchise location of a national restoration company. Here are three reasons to choose SERVPRO to handle catastrophic loss. SERVPRO has more than 1,700 franchise locations. This means that the closest professionals can arrive on site in four hours or less, which may be faster than other regional mitigation and restoration services. In the event of widespread damage such as flooding or storm damage, additional experts and equipment may report from nearby locations. The backing of one of the nation's leading mitigation and restoration companies enables local franchises to be better trained and equipped than most independent companies. Insurance jobs are only offered to locations that satisfy all of the requirements of a 21-point Participation Agreement. 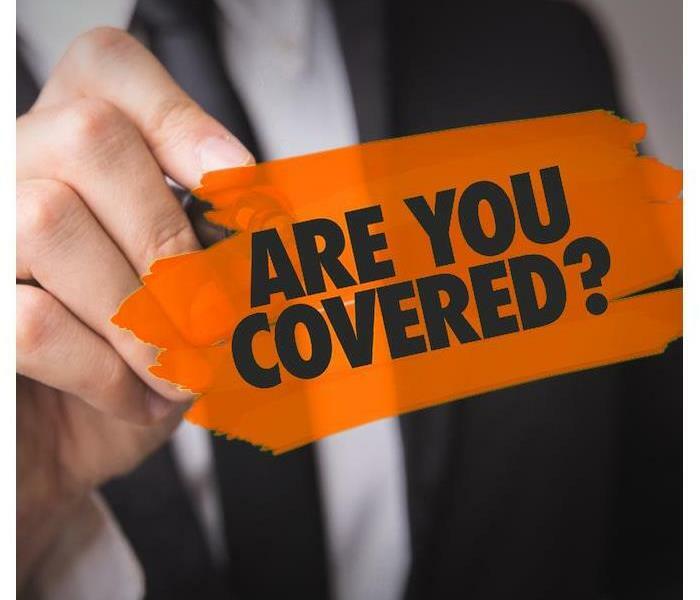 This oversight and company-wide services such as the Claims Information Center elevate the standard of service and make SERVPRO the right choice in the event of catastrophic loss. This national corporation is also a certified training school for the Institute of Inspection Cleaning and Restoration. Each franchise must employ at least one technician who specializes in a particular area such as storm damage to maintain certification. The IICRC requires technicians to obtain continuing education credits to ensure that professionals keep up with current best practices in the mitigation and restoration field. This means that the work performed by these employees should be up to the highest standards in the industry. All of these factors enable SERVPRO to respond to catastrophic loss caused by fires, flooding or storms faster and more effectively than independent mitigation or restoration companies. Within one hour of contacting the national corporation, property owners can expect a response from a franchise in Park Slope, NY. When the valve on your water heater fails or the unit springs a leak, you could literally have gallons of water flooding that level of your home in minutes. If the leaking water heater is not in the basement you run the further risk of your home sustaining water damage in the walls and ceilings below that from seepage. Here are some ways to prevent or mitigate water damage from a failed water heater in Park Slope, NY. In the event you are hearing unusual noises from your water heater, such as popping or thumping, it could be caused by mineral buildup on the inside of the tank or on the element. Cleaning out your water heater to remove mineral sediment is a good idea. Be sure to follow your unit’s manufacturer’s instructions for maintenance regularly to help prevent such a disaster from occurring. 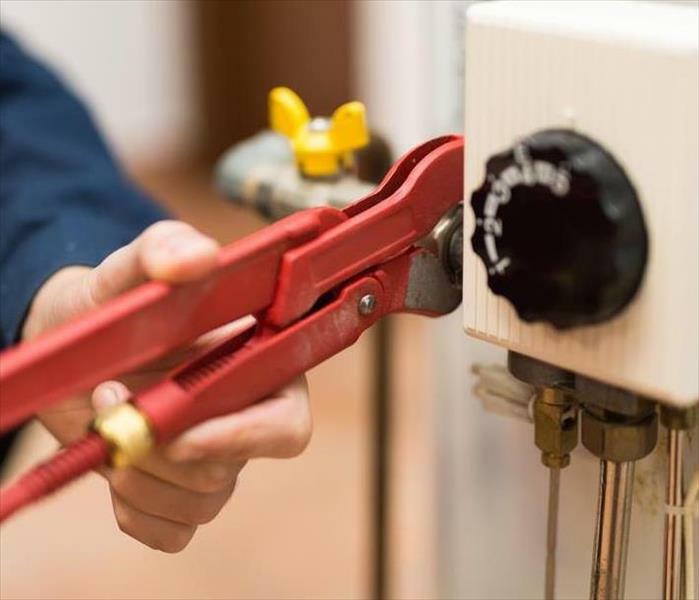 If cleaning out and other maintenance measures don’t stop the problem, and especially if a leaking water heater accompanies the noises, your best bet would be to call a plumbing service to come take a look and a listen in case action is needed. Repairs can often stave off problems. When all preventive measures fail and a broken water heater floods your home, it is imperative to stop the leak as quickly as possible by shutting off the water supply. The next most crucial step is removing the water and mitigating the damage water can cause to your home. The mess and damage can feel overwhelming. Call a water damage repair specialist in Park Slope, NY, to come as soon as possible and help with the cleanup process. They will use powerful extraction equipment to remove as much water as possible and then assess the damage and help with the salvage and repair process. A broken or heavily leaking water heater can be intimidating but with help, you will see your way through. The air in your home in Brooklyn, NY, is full of mold spores. They travel inside on pets, clothing, shoes, and bags. The spores are invisible to the naked eye, so you may not even realize they are present unless you see black mold growing on a wall or smell an odor that gives it away. There are several elements that contribute to mold growth as well as preventative measures you can take to protect your home. The mold cleanup process should not only include mitigating the problem itself but also addressing the circumstances that made it possible, to begin with. Mold remediation specialists are trained to handle both mold growth and water damage so that the problem does not return. Once you pinpoint the issues in your home that are most likely to cause black mold growth, it becomes easier to prevent it. Monitor humidity levels regularly. Inspect your home frequently for leaks, and have any problem that could result in water damage fixed as soon as possible. Make sure your windows, roof, basement and other areas vulnerable to leaks or flooding are in good condition. Store food properly and throw out food that has expired. These tasks may seem time-consuming, but they're a small commitment compared to having to deal with a mold problem. The best way to prevent the mold spores in the air of your home from becoming the black mold growth on your wall is to control moisture. Adopting the proper vigilance needed to protect your home can save you a lot of time and effort in the long run. Black water is contaminated and dangerous. As an insurance agent in the Brooklyn, NY area, it is your job to move the claims process forward. However, it is also necessary that claims are accurate assessments of the damage sustained to a property. Pretesting water damage can help you deliver an accurate insurance claim. Water categorization refers to the type of water and its level of contamination. There are three categories. White water is considered clean water. It comes from a sanitary source, but prolonged standing could lead to contamination from other sources. Gray water is contaminated water. This water presents as a darker color and likely has unsafe levels of chemical and biological matter. Avoid contact with the skin and do not consume as it may make you ill.
Black water is contaminated and dangerous. This water is likely contaminated with sewage and other toxic chemicals. Contact or consumption could cause serious illness or disease. Pretesting will also provide a classification to the damage. Each category and level require different restoration and mitigation practices which effects price. There are four classifications. Class 1 water damage means minimal exposure. This means that water is affecting a small area of a room and that there is minimal absorption into the surrounding materials. Class 2 water damage involves an entire room and a lot of water absorption into surrounding materials. This level also involves affected structural materials. Class 3 water damage involves the highest level of water absorption. This level of damage typically requires significant repair or replacement of all materials in the space. Class 4 is more related to drying times than water damage. This level involves specialty drying equipment and times due to deep pockets of saturation. Pretesting provides an overview of the damage inflicted on a property. The higher the category and classification level the more extensive the repair. 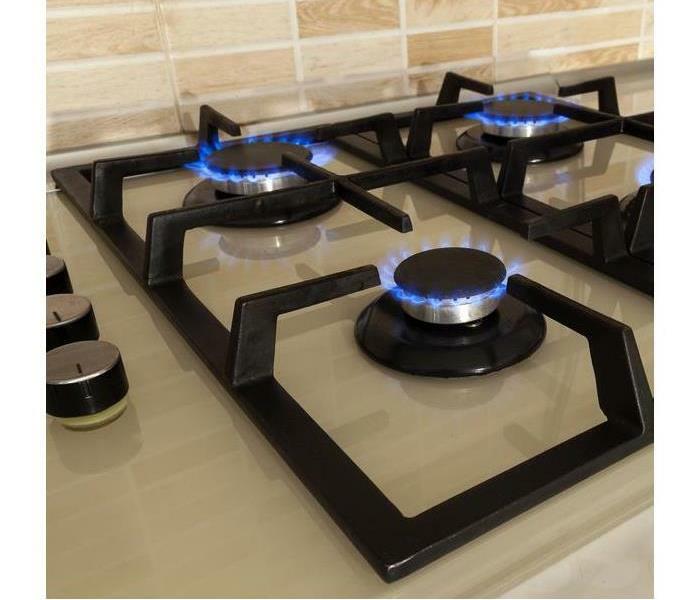 Therefore, testing the water before a restoration provides an accurate picture and price point for the claim being made. If you’ve discovered mold damage in your rented Brooklyn, NY, home, you may be wondering if your rental insurance policy will cover the damage and remediation. The answer to this depends both on your policy and the damage type. Renters insurance policies typically cover the personal property of the renter, while the landlord’s insurance covers the structure. Most policies include coverage for damages caused by an emergency situation, such as fire or flood, and any damage resulting from those situations. They may also cover damages caused by accident or nature up to the point when the resident has had reasonable time to discover and fix the problem. Most insurance policies will not cover damages resulting from neglect. Your rental insurance may have provisions for mold removal and remediation if the mold growth is caused by an emergency, such as water from a fire hose, nature, or an accidental pipe break, among similar situations. In many cases, they may also cover the costs for hiring a mold remediation professional. In most cases, renters are responsible for reporting any mold removal needs as soon as they realize there’s a problem. Mold damage to a renter's personal property also falls to them, while damage to the actual property may be covered by the landlord’s policy. In many cases, renters insurance may require the renter to do everything they reasonably can in order to report and remedy the mold problem. The renter is also responsible for having insurance and knowing what the policy contains. In most cases, a rental insurance policy will cover damage up to the point where the renter could have prevented it from getting any worse. This means that as soon as damage is found, appropriate steps should be taken to stop the infestation and prevent further spread. In some cases, your policy may even cover the cost of professional cleaning. When the cold hits, your Park Slope, NY, home could be facing issues with bursting pipes. Fortunately, your insurance policy can help. Here are a few of the common questions people have with filing a claim for water damage. 1. What Damage is Covered? When it comes to damage caused by water in your home, several causes may be covered by your insurance. 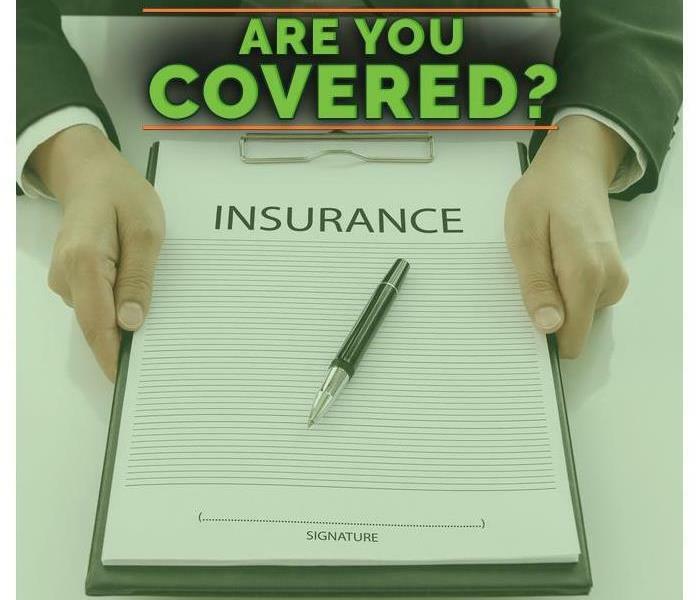 Sudden damages such as sewer back up, an accidental break in the plumbing, storm caused damage, or flooding are all instances insurance companies usually cover. Gradual damage which occurs over time is usually considered neglect on the part of the homeowner and will most likely not be covered. This is why it’s important to conduct any repairs as soon as water caused damage is found. 2. What Other Services May Be Covered? Your insurance provider may also include coverage for the cost of hiring a professional cleanup and restoration service to help restore your home. These professionals can assess the damage and formulate a plan for repair and restoration. Your insurance company may also be able to help you contact a plumbing professional who can help fix broken pipe issues in your home to help prevent further problems with bursting pipes. 3. What Things Can You Do? Aside from fixing any damage you find as soon as you can, there are a few things a homeowner can do to help the insurance process. The first is to understand your policy, and what it covers and does not cover. It may also be helpful to conduct a home maintenance check regularly and maintain a record of all your home repairs. If you’ve had issues with bursting pipes, it’s important to know what type of water damage your policy covers. Your policy may also offer coverage for the costs of hiring professionals to help restore your home after the damage occurs. Remember, it’s important to know what's in your policy when filing a claim. 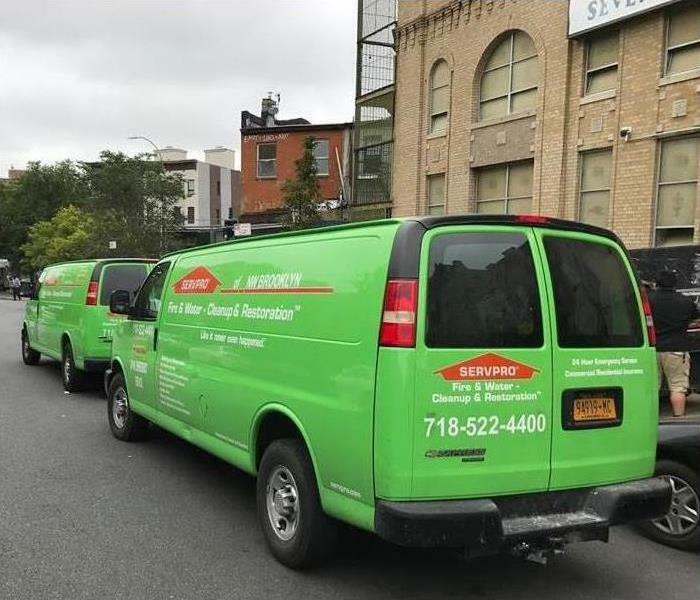 4/9/2019 - Are Flood Odors Leaving Their Calling Cards at your Brooklyn Business? 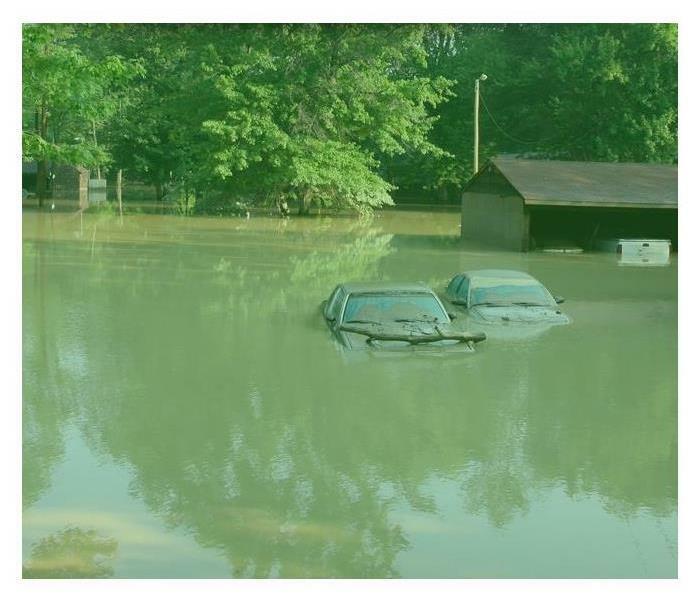 2/11/2019 - Does Your Business Need Commercial Flood Insurance?